Pima County Property tax is levied on the basis of the assessed value of a property. The Pima County Assessor’s office will send a notice of full cash value for every property by March 1st. 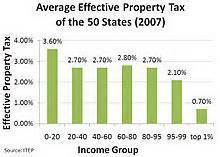 The value is utilized to calculate the Pima County property tax for the following tax year. The Pima County Board of Supervisors sets the tax rates on the 3rd Monday in August. The rate is applied to the assessed value from the prior year to compute your taxes. Once the tax roll is determined, Pima County mails tax statements in September. Statements are sent to the name and address that appears on the Assessment and Tax Roll established by the Assessor’s office. The Pima County Property tax statement is for the entire year. The statement includes installment vouchers for the first half and second half-year amounts. The Pima County property tax statement shows both the due dates and the delinquency dates. While the law doesn’t require the Treasurer or Pima County to send tax notices they do. The only statutory requirement is to publish a Tax Due Notice in the local newspaper four weeks before the delinquency date. Pima County Property Tax statements are delivered to taxpayers as a courtesy and as sound business practice. The deadline to make the first half taxes is October 1 and the delinquency date is November 1 at 5:00 p.m. The due date for the last half taxes is March 1 and the delinquency date is May 1 at 5:00 p.m. When you pay the full years taxes by December 31, interest due on any unpaid balance on the first half taxes is waived. If a delinquency date falls on a weekend or legal holiday, taxes will become delinquent at 5:00 p.m. on a subsequent business day. When mailing your payment, be aware payments postmarked after that date are going to be deemed delinquent. The Pima County property tax payment will be applied as a partial payment including interest. Any outstanding balance of tax due as of the delinquency date are subject to interest. The statutory interest rate is 16% per year simple (A.R.S. 42-18053(A). This means that interest will accrue at 1.333% each month, as of the first day of every month, on any outstanding balance of tax. Partial payments can be made on current year taxes. Minimum payment is the highest of $10 or 10% of the tax due. If the total yearly tax due on your property is $100 or less, the entire amount of tax bill is due and payable by November 1st at 5:00 p.m. If you have just purchased a property be sure to ask the mortgage or title company who is responsible for making the tax payment. Questions regarding Pima County property tax matters should be made to the Pima County Treasurer. Offices are located at 115 North Church Avenue, Tucson, AZ 85701. Want to find a Tucson Home to buy OR considering selling a Tucson home? We can help!